What causes following problem? 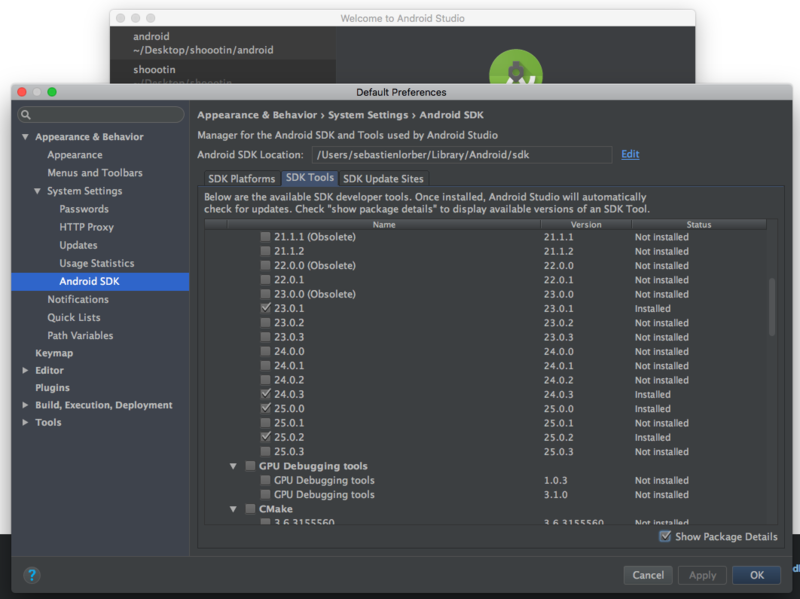 Is my Android SDK Version not supported? Probably you need to update your Build Tools. I faced the problem when I tried to update from the graphic interface, it didn't show the exact minor version, so I couldn't update to it. Just a note - it's possible to get this error because the only version of the build tools you have installed is too new. I'd naively thought that installing the latest version of the Build-tools (23.0.2 at the time of writing) would work, but apparently not. Additionally installing 23.0.1 fixed the problem. I also had problem with newer version of SDK Build tools (same as Mark) but I managed to resolve it with modification of android/app/build.gradle and setting proper version, e.g. UPDATE: As Mark suggested, it is wise only update minor (or patch) version in this way. Another reason why not to update this version is when you have plenty of 3rd party libs with native part - you might end up updating all of them. So you must weight possible benefits of newer version vs a bit more work. It means that the Android Build Tools installed on your system is something else than in your app's configuration file (your configuration file is pointing to 23.0.1) but you probably have 23, 24 or 25.0. * on your system. 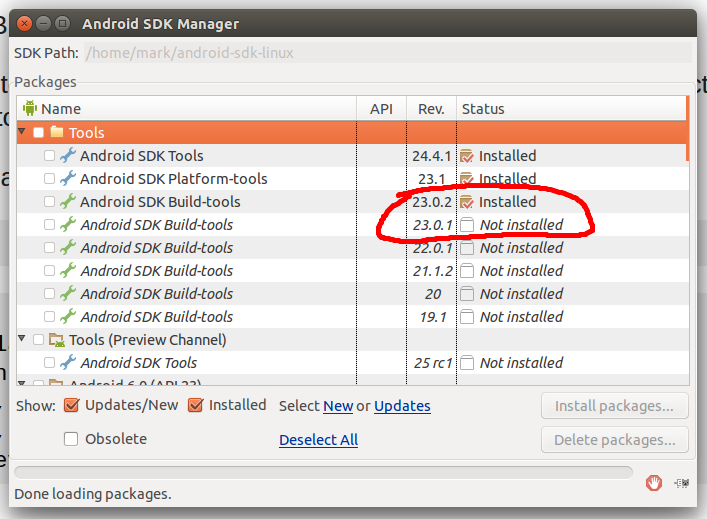 OR you could try to install in your system the version that you have in the build.gradle file (with SDK manager). If you have Build Tools version 24.0.1, then update your build.gradle to match buildToolsVersion "24.0.0"
My Android/Sdk/build-tools/24.0.1/source.properties had Pkg.Revision set to 24.0.0. I had this problem trying to build at the command line following react native's documentation. I resolved this problem by opening the project in android studio. The mismatched dependencies will appear in the build failure snackbar at the bottom of the App. For each failure, click on the link to resolve the issue.